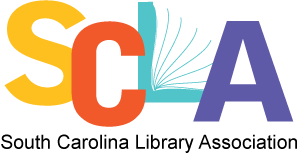 The purpose of the SCLA Technical Services Section is to provide a forum for discussion of issues related to collection development; the acquisition of library materials, including serials; preservation; automation and cataloging. It is dedicated to the coordinated development of library resources in South Carolina and to ready access to such resources. The Section is to promote communication, to encourage cooperation, and to provide programs for continuing professional growth for librarians in South Carolina in the areas of collection development and management, acquisitions, cataloging, serials, preservation, and automation. The Section members also seek to represent library technical services issues to other Sections within the Association, as well as to groups and persons outside the Association. To help meet these goals, concentrated effort is made to assure applicable programs for conferences and workshops. The South Carolina Library Association Technical Services Section has an unmoderated forum for communication among libraries. [email protected] is used for announcements regarding the Technical Services Section, discussions pertaining to issues in technical services, or just general questions about acquisitions, cataloging, or the like. The listserv is programmed to archive copies of every message sent through it, so you can search old messages if you do not want to keep all of the messages yourself. Send the message SUBSCRIBE SCLATECH-L first name last name (substituting your own information for “firstname” “lastname”) to [email protected]. Leave the Subject field blank. Make sure no other information (e.g. e-mail signature) is included with the message. A confirmation message will be e-mailed to you by the LISTSERV software. By default, replies to messages from the list go to all subscribers to the list, not just the original sender.